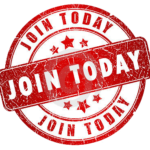 Dallas Paint & Coating Association cordially invites your company to apply for membership. Annual dues are $125 per company payable in advance. Any number of employees may register with a member company at no additional cost. The form below will take you to PayPal where you can make a credit card payment for your membership. By Filling out the form below, you agree to join DPCA and making an online payment.